For more than a decade now, leaders have looked to Atlanta as a powerhouse for global health. With the presence of heavyweights such as Emory University, the Centers for Disease Control and Prevention (CDC), The Carter Center, CARE, and the Task Force for Child Survival and Development, Atlanta does indeed rival Geneva on the world stage in public health. That reputation just got another boost with establishment of a new Global Health Institute (GHI) at Emory. Funded with $110 million from university resources, the institute will work globally to cure disease, develop vaccines, develop health infrastructures, expand research collaborations, and train scientists and students. In short, the effort—which brings together existing strong programs in global health and powerful partner alliances—allows Emory to take on some of the most pressing health challenges around the world, particularly in poorer countries. 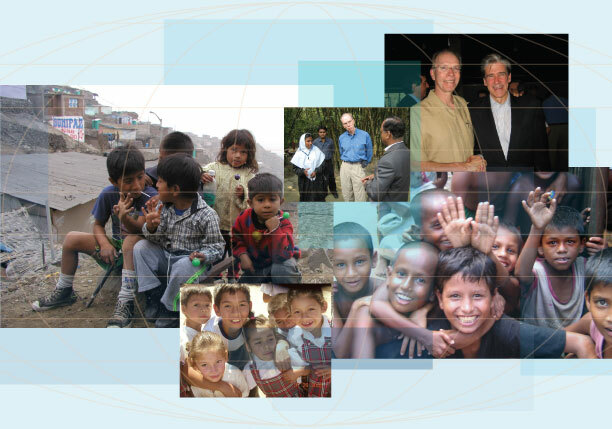 Jeffrey Koplan, vice president for academic health affairs and former director of the CDC, directs the institute, bringing decades of on-the-ground experience in global health leadership to the new initiative. He has worked on virtually every public health issue, from smallpox and AIDS to the Bhopal chemical disaster, and in dozens of countries. He has collaborated on a commission on macroeconomics and health in the Caribbean, on a study of childhood obesity in the United States and Mexico, on a research advisory evaluation for academic public health in the United Kingdom, and as a board member of a Nigerian journal of clinical and biomedical research. James Curran, another world-renowned global health leader, dean of Emory’s Rollins School of Public Health (RSPH), and former AIDS czar at CDC, will serve as chair of the board of directors. The inaugural program of the institute is the International Association of National Public Health Institutes (IANPHI), an alliance of organizations similar to CDC that are dedicated to improving public health infrastructure around the world. Founded in 2006 by the directors of 39 national public health institutes, IANPHI will now benefit from a five-year, $20 million grant from the Gates Foundation to Emory in partnership with Finland’s National Public Health Institute, KTL. IANPHI’s goal is to enable low-resource countries to develop well organized and successfully functioning CDC-like institutes of their own. IANPHI teams are now working in Uganda, Mozambique, and Angola to develop this capacity, and the organization is seeking further expansion in Malawi and parts of Asia. A drug discovery training program with the Republic of South Africa. Led by Dennis Liotta, Emory chemist and co-inventor of several of the most successful and commonly used anti-HIV/AIDS drugs, the program will equip African scientists with skills to discover new drugs. Visiting scholars from South Africa will receive training at Emory. Projects will focus on research that impacts populations most affected by diseases historically ignored by the pharmaceutical industry. The government of South Africa, a supporter of this program, is offering significant incentives to startup biotech companies, creating an environment to nurture drug discovery in South Africa. A vaccine partnership with the International Center for Genetic Engineering and Biotechnology in New Delhi, India. Led by Rafi Ahmed, director of the Emory Vaccine Center and a world expert in immune memory and vaccine development, the Center for Global Vaccines will focus on vaccines for infectious diseases. Already, the partners have made significant progress in researching vaccines for malaria, hepatitis C and E, tuberculosis, and HIV. Currently, India has 5.7 million people living with HIV, more than any other country. Each year, India has 1.7 million new cases of tuberculosis, which causes more illness and deaths in Indian adults than any other communicable disease. Expansion of a collaboration between Emory and the Instituto Nacional de Salud Publica of Mexico. 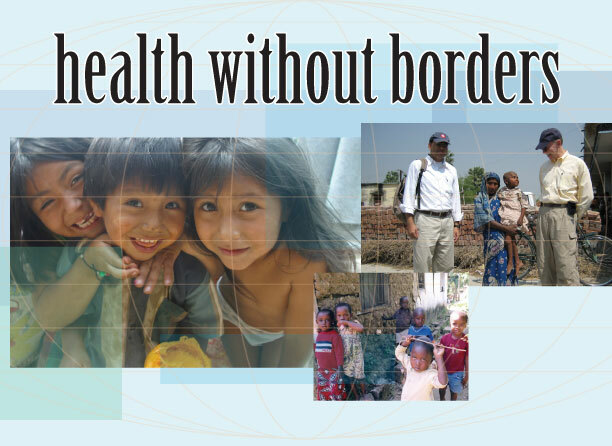 Led by Reynaldo Martorell, Woodruff Professor and Chair of the Hubert Department of Global Health at the RSPH, the Partners in Global Health program is working for sustainable strategies for research, capacity building, training, and student exchange. In the past, collaboration has been limited to topics such as nutrition, infectious dieases, environmental health, and maternal and child health. However, the expansion will allow the partners to take on more disciplines, particularly in the social sciences. Koplan, as an epidemiologist, cautions against claiming 100% probability of success for the GHI. However, based on the programs it is building and the partners it is bringing together, its probability of success is high, he says. What is different about Emory’s effort, he says, is its university-wide commitment to global health. “We have an obligation to involve the entire university in building collaborations that will benefit other nations as well as our own,” he says.